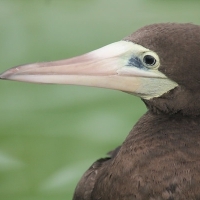 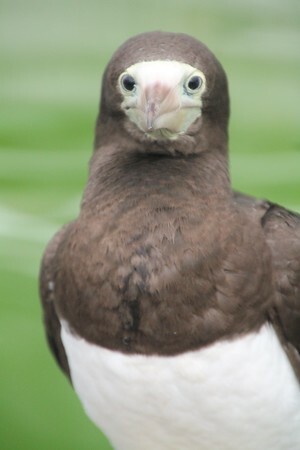 Many folks had commented or e-mailed that they enjoyed hearing about the Brown Booby and wanted to know what happened with it, so I thought I would post one final update. 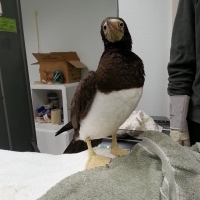 Jen Cedarleaf said the bird was sent south to an International Bird Rescue rehabilitation site in Southern California back on 18 November (I think quite a bit sooner than originally anticipated). 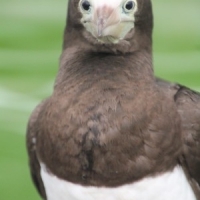 Jen said the booby was admitted to the Alaska Raptor Center at 995 grams it left at 1430 (so it sounds like the bird was probably pretty hungry). 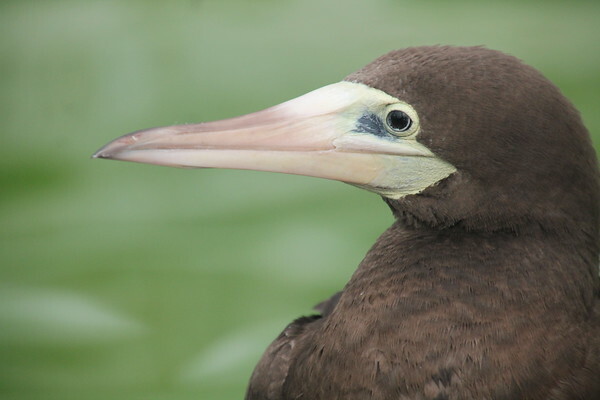 Jen was told the booby had been released into a large aviary and, as of an early December update, lingering injuries (a limp and small wounds) were gone or close to being completely healed. 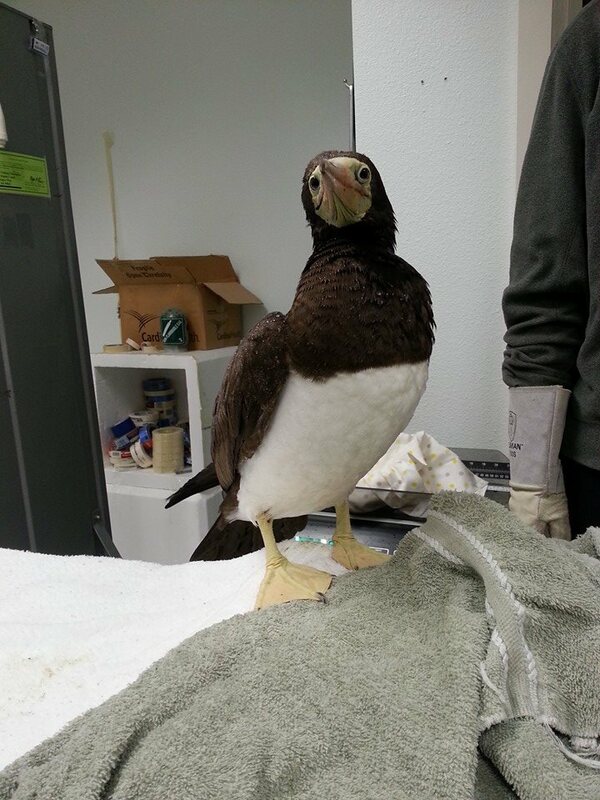 They said the bird seemed quite happy, and the next step was to release her. 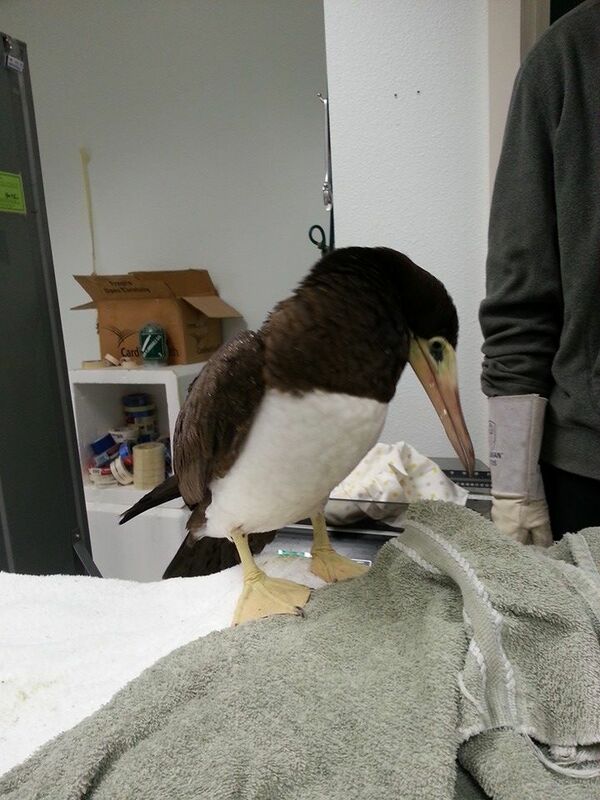 (Though as of this posting, Jen had not heard whether the bird had yet been released). 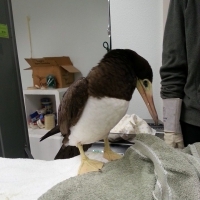 Thanks to Jen for sharing her photos as well as passing on the reports and photos (and getting permission for me to post the photos) from the International Bird Rescue.